Extended severe weather coverage, two Dallas Mavericks playoff games and Bruce Jenner’s heavily promoted interview with Diane Sawyer made for an eventful, eclectic menu of weekend TV. Let’s break it all down for you, beginning with Jenner’s big two-hour reveal on Friday’s 20/20. Airing from 8 to 10 p.m., it averaged 404,492 D-FW viewers and 208,151 in the advertiser-prized 18-to-49-year-old demographic while competing against the latter portion of the down-to-the-wire Mavs-Rockets playoff game on TXA21 and ESPN. Mavs-Rockets, which ran from 6:10 to 8:50 p.m., fared well in the 8 to 8:50 p.m. matchup with Jenner. The game had 188,298 total viewers on TXA21 and 181,324 on ESPN for a combined 369,622. 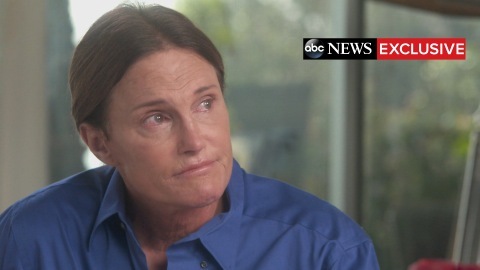 That portion of the Jenner interview had 404,492 viewers, the same as its entire two-hour average. Among 18-to-49-year-olds, Mavs-Rockets had 91,460 viewers apiece on TXA21 and ESPN during the direct competition with Jenner. The combined total of 182,920 viewers is a bit short of the 192,382 for the 8 to 9 p.m. portion of ABC’s Jenner interview. The Mavericks’ 130-128 loss to Houston otherwise started slowly, averaging 132,506 total viewers for the entire game on homegrown TXA21 and a slightly higher 139,480 for ESPN’s national telecast. In the 18-to-49 measurement, the entire game averaged 59,922 viewers on TXA21. That again fell short of ESPN’s complete game average of 75,691 viewers in this key demographic. OK, on to Sunday, where the Mavericks fought off elimination with an impressive Game 4 home win over Houston. Airing from 8:17 to 10:56 p.m., Mavs-Rockets averaged 181,324 total viewers on TXA21, outdrawing TNT’s 160,402. Among 18-to-49-year-olds, TXA21 averaged 91,460 viewers to TNT’s 81,999. It marked the first time in four playoff games that TXA21 had more viewers than the cable presentations on ESPN or TNT. Fox4, NBC5, Gannett8 and CBS11 all went with continuous severe weather coverage opposite the final hour of the Mavs-Rockets game. And they stayed with the storms all the way until 12:45 a.m. One by one, the stations then resumed regular programming between 12:45 and 1 a.m. Network prime-time coverage also was interrupted to varying degrees, but your friendly content provider had the Mavs in view during the 8 to 10 p.m. hours. Fox4’s regular one-hour 9 p.m. newscast, heavily fortified with weather coverage, averaged a time slot-winning 397,518 total viewers. That was enough to beat the combined Mavs-Rockets audience in that hour. The Fox4 coverage, at least in late night, was marred by constant National Weather Service audio overrides that muted the station’s weather tandem of Dan Henry and Evan Andrews. At least that’s the way it was for Verizon Fios customers, of which I’m one. Here are the hour-by-hour total viewer breakdowns for the 10 p.m. to 12:45 a.m. weather coverage. Gannett8’s last-place finishes are a gut-punch to the station while CBS11’s all-around strong showing is its most impressive in recent memory. The station’s chief meteorologist, Larry Mowry, appears to be on the rise. Gannett8 and a weather team led by meteorologist Pete Delkus in comparison were tuned out. That never used to happen. Finally, here are Friday’s four-way local news derby results (on the second weekday of the May “sweeps” ratings period). Gannett8 rode a dominating Jenner interview to big wins at 10 p.m. in both total viewers and 25-to-54-year-olds (main advertiser target audience for news programming). Fox4 swept the 6 a.m. competitions and Gannett8 did likewise at 6 p.m. NBC5 had twin wins at 5 p.m.